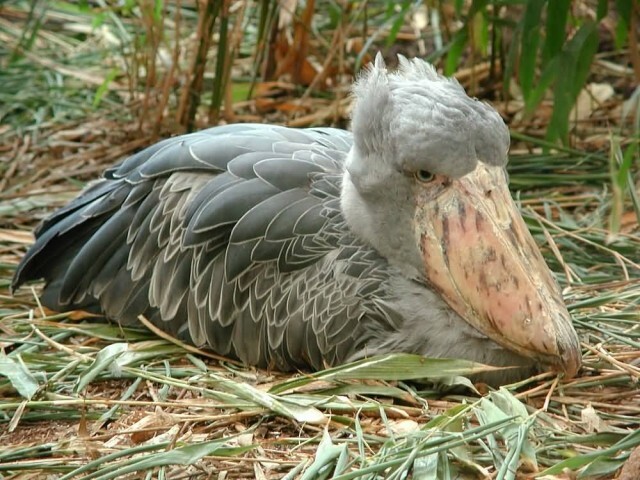 The shoebill also known as whalehead or shoe-billed stork. It is a very large stork-like bird. The name come from it’s shoe-shaped bill. 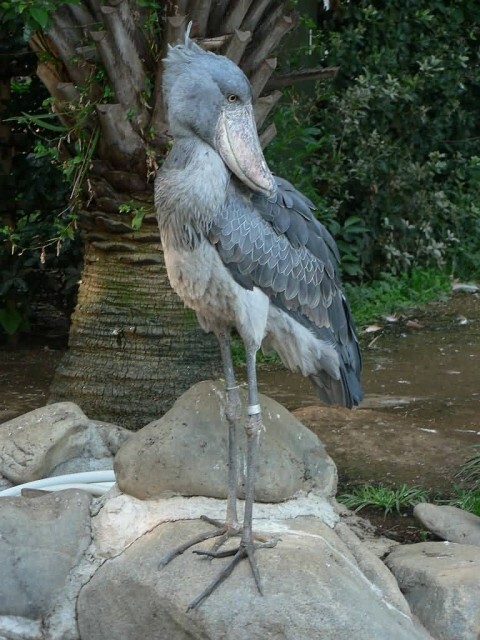 The shoebill is a tall bird with the height range of 110 to 140 cm. The signature feature of the species is its huge, bulbous bill, which is straw-coloured with erratic greyish markings. The big beak is sometimes used to dig into pond-bottom mud to extract lungfish from their aestivation burrows. 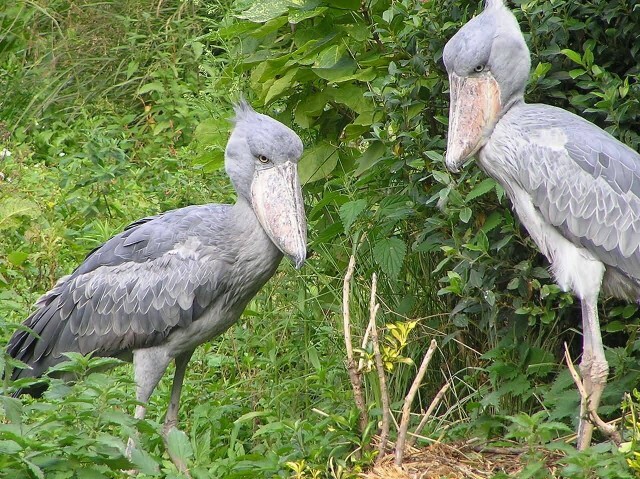 The shoebill is found in freshwater swamps of central tropical Africa and southern Sudan through parts of eastern Congo, Rwanda, Uganda, western Tanzania and northern Zambia. 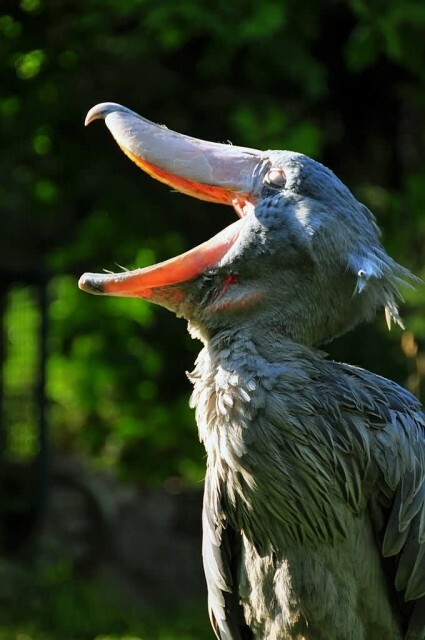 Shoebill eats different types of fish, amphibians, lizards, snakes, rats and even baby crocodiles.